Sometimes it can be difficult to get into the meditation zone when you’re back from a long and stressful day at work. Try and relax by putting some music on when you’re getting ready or during your practice. Use the music as your focus point by paying attention to each sound. The key is to wear something comfortable that you can move around in and that won’t restrict your breathing or circulation. Make sure to have a jumper or a blanket at hand during your practice as blood pressure and body temperature usually drop, which could make you cold and affect your meditation. Meditating first thing in the morning is the preferred time to practice as you are more likely to be focused and calm. If you don’t have time in the morning, you can also try meditating before bedtime as the calmness can help you transition from being awake to sleep. It’s usually impossible to meditate for as long as you’d like, but spending a few minutes every day is better than nothing. Use a digital alarm clock to time your practice so you don’t get distracted by checking the time. Try different meditation lengths to find one that works for you. Try not to eat directly before your meditation practice as this may affect your ability to concentrate. If you have had a meal, try and wait for an hour in order to settle into the right state of mind. It’s also best to avoid drinking alcohol or smoking before practice. Deciding on one place to meditate every day will help alleviate your practice. It will allow you to face less distractions as you will be in the same environment every day. It will also provide you with positive energy from past practices and it will produce happy associations each time you see it. Picking the perfect spot can really help improve your practice. Try and find a place that others don’t use so you’re not interrupted, a place that doesn’t remind you of work so you’re not distracted, that isn’t noisy so you can concentrate and that is near the outdoors so that you’re peaceful. Altars are a selection of objects that you collect on a small table. An altar can be useful when meditating as it reflects your personality and your inspirations. 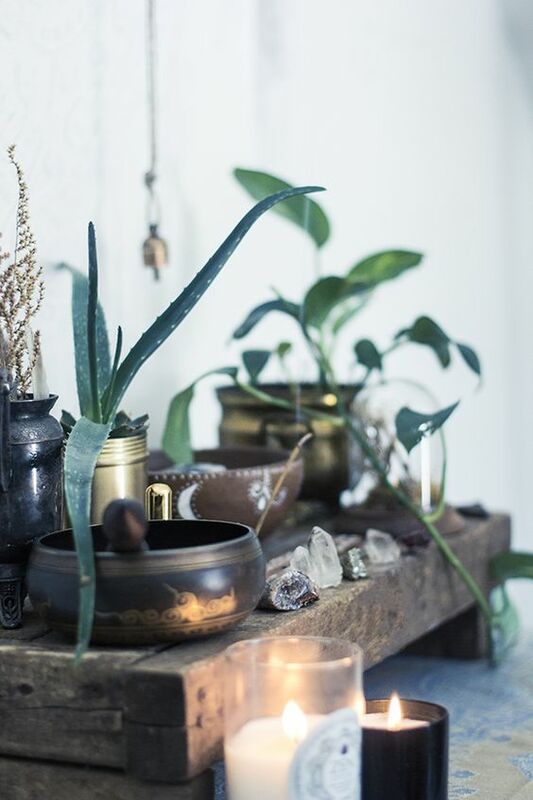 You can put whatever trinkets you prefer on your altar, but popular ones are plants, candles, incense, and pictures of inspiring people or natural objects. You may not realize how important facing the correct direction is but it can make all the difference in your meditation. If you face a garden or your altar, this is likely to bring you positive and peaceful thoughts but if you face a big and loud road, this may distract you. Although it may be difficult, making an effort to find some peace and positivity will help enhance your meditation. When you practice, try and find something that brings you peace, focus on enjoying the peacefulness and notice if you are feeling more positive after shifting focus to something else.